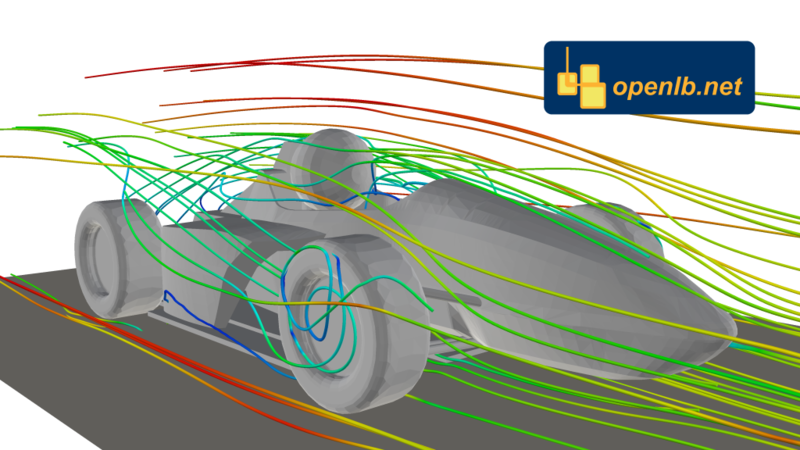 In cooperation with KA-RaceIng the flow around the racecar KIT12 is simulated with the OpenLB code aiming to e.g. optimize its shape. Contributed by Mathias J. Krause and Tung Vu.